The combination of our convenient addresses, cool facilities and flexible room options makes Birch Ridge the obvious choice. From free Wi-Fi internet to support from friendly multilingual staff, it’s the little extras that make us stand out for students from across the globe. 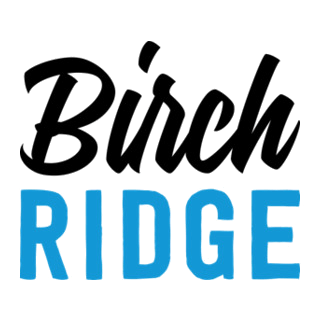 Why choose Birch Ridge Accommodation? Hawthorn House is an architecturally inspired student residence. Renovated in 2002, it provides stylish, comfortable living close to Swinburne University. Offering a range of self contained apartments and ensuite rooms with large communal facilities to ensure you’ll enjoy living at Hawthorn House. O’Connell Residence is a classical heritage building that has been converted into one of the finest student accommodation in Melbourne. Offering safe, comfortable, convenient, centrally located housing for students, allowing them to focus on their studies while being able to enjoy the best that this city has to offer. Located within 10 km of downtown Melbourne, Riversdale Residence offers premium student accommodation and safe, convenient access by tram or train to most of Melbourne’s top Universities including Swinburne, Deakin, Melbourne University, RMIT and Holmesglen. How can I apply to live at a Birch Ridge property? You can make an application by completing the Application Form on our website. Just ​click the "Apply" menu at the top of this page to get started by selecting the property would like to apply for. How far away is my University? Use the "Locations" menu above to select the property you are interested in, and scroll down to find information about the location of schools, including distance and suggested Public Transport details. Yes, inspections can be arranged online with our Accommodation Managers. Just submit an enquiry using the form at the bottom of this page to get started. Make sure you select the property you are interested in, and that you'd like to arrange a tour! You can apply for a room up to 6 months in advance of your intended arrival date. Not quite ready to apply? We love to chat! Send us your questions and we will be in touch.